Update 2014-02-09: Virtual Gateway has been renamed to Firefly Host and does not work (at this moment) with vSphere 5.5 (which no longer contains the deprecated VMsafe API used by Virtual Gateway/Firefly Host). 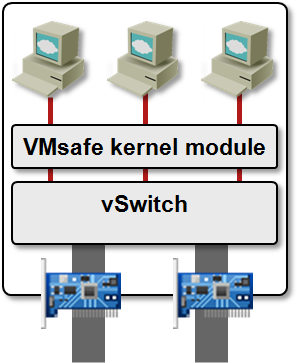 Basics first: the VMsafe Network API is an API within the ESX hypervisor kernel that allows a third party to insert a filter (a loadable kernel module) in front of the virtual NICs (the filters are automatically configured in the VMX file). 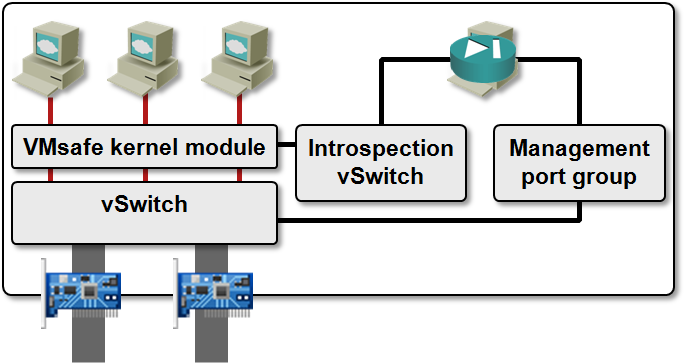 The filter can do anything it wants with the VM traffic; including modifying or encapsulating it (vCDNI is implemented as a dvFilter kernel module). 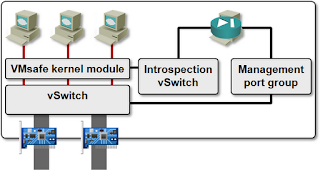 In most cases, the loadable kernel module interacts with a VM that configures it (vCDNI is an exception; when implemented within the vCloud Director framework, it works without a VM). 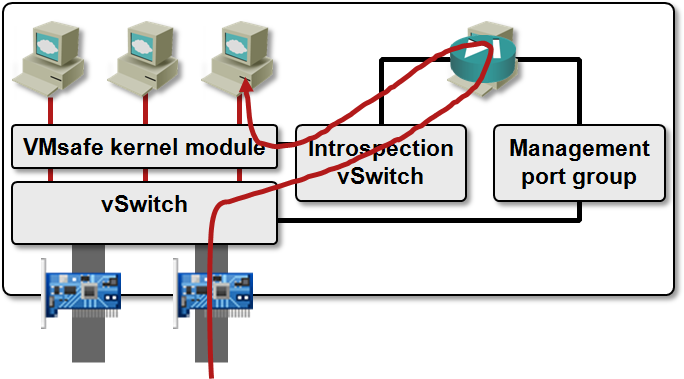 The communication between the kernel module and the controller VM must be protected from prying eyes (remember: we’re implementing virtual firewalls), so it goes through a hidden vSwitch. The controller VM thus has to run in the same vSphere host as the kernel module. You got that right: one extra VM per vSphere host. On top of that, every virtual firewall product usually has a management VM that pushes the configuration to controller VMs running in individual vSphere hosts. As always, the devil is in the details. vSphere Zones/App 4.1 (and a number of other products) uses Slow Path – every single packet sent or received by protected VMs goes through the vSphere Zones firewall VM (a Linux VM using iptables/ebtables with a GUI front-end). Not only that, you can’t protect just a few VMs in a vSphere host. 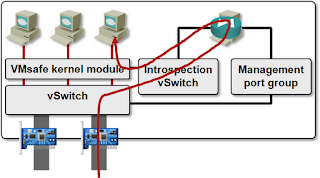 Once you load vSphere Zones kernel module into the ESX kernel, traffic from all VMs has to pass through the firewall VM – the moment you start or vMotion a VM to a vSphere host running vShield Zones/App, the dvFilter configuration appears in the VMX file. The above description applies to vShield Zones/App 4.1. vShield 5.0 release notes mention “improved performance due to architectural improvements”. I wasn’t able to test vShield 5.0 yet; if you know more, please write a comment. 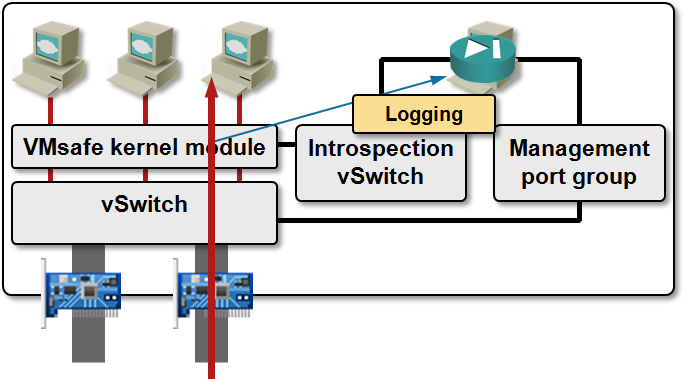 Juniper’s Virtual Gateway uses a completely different approach. 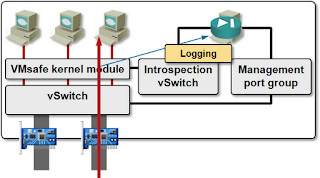 It still needs per-host firewall VM, but uses it only for configuration and logging purposes. All the traffic filtering is performed in the module loaded in the hypervisor kernel (Fast Path). Not only that, you can specify which VMs or portgroups are protected, further reducing the CPU overhead. The performance difference between different virtual firewall products is astounding (see Juniper’s Virtual Gateway Firewall Performance white paper for details): while Slow Path-based solutions top out at approximately 3-4 Gbps (which is very close to the results I got with my vShield Zones 4.1 tests), Juniper’s Virtual Gateway reduces the overall throughput by only around 10% (they pushed 30 Gbps through an ESX host in the tests). Even more, VM-based virtual firewalls are CPU bound (the 3-4 Gbps is what you can squeeze out of a single vCPU), while Juniper’s firewall, running within the hypervisor kernel, uses multiple cores assigned to the protected VMs. Pushing the performance even further, Virtual Gateway uses per-VM connection tables and rulesets (read the white paper for more details). You’ll find them in the VMware Networking Deep Dive webinar (buy a recording) or in the security part of the presentation Juniper had during the Networking Tech Field Day event. Disclosure: Juniper indirectly covered some of my travel expenses during the Networking Tech Field Day, but nobody has ever asked me to write about their products or solutions. Read the full disclosure (or more precise ones by Tony Bourke or Matt Simmons). The VMsafe API is deprecated. Juniper's vGW product is now named Firefly. I have not found out yet whether it uses a different concept or API than vGW.